1. A slope steeper than 1:8 is prohibited. Advisory 405.2 Slope. 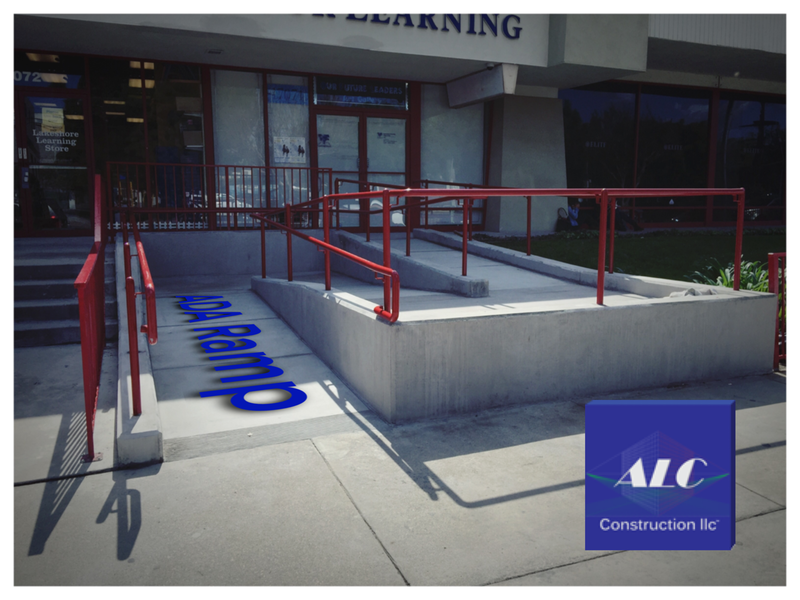 To accommodate the widest range of users, provide ramps with the least possible running slope and, wherever possible, accompany ramps with stairs for use by those individuals for whom distance presents a greater barrier than steps, e.g., people with heart disease or limited stamina. Advisory 405.3 Cross Slope. Cross slope is the slope of the surface perpendicular to the direction of travel. Cross slope is measured the same way as slope is measured (i.e., the rise over the run). 405.5 Clear Width. The clear width of a ramp run and, where handrails are provided, the clear width between handrails shall be 36 inches (915 mm) minimum.